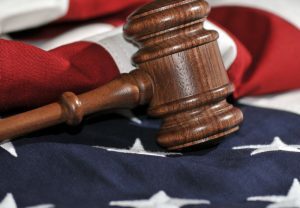 If you are dealing with legal dispute as a federal employee, you should secure representation from a federal employee attorney DC residents turn to. The Federal Practice Group has a team of qualified legal professionals who are well versed in the procedures unique to federal employment law. Guided by many years of experience, our federal employee lawyers offers exceptional services to a broad range of diverse individuals who hold a federal position, nationwide. Our firm has a track record of success and are recognized as being trusted advocates for federal employees. Regardless of what your situation might be, if you are looking for legal help, call a DC federal employee attorney from The Federal Practice Group. During a complimentary consultation, we will listen to what you have to say and provide you with in-depth legal insight and options. The laws, regulations, and rules that govern a federal employee are different from those that apply to private sector employees. Whenever a federal employee has a legal issue about their job, the best step to take is to retain a federal employee attorney in DC who is familiar with this unique legal field. Federal jobs are highly sought after because they pay well, offer opportunities for advancement, and provide premium benefits to employees. Most federal employees dedicate their career to an agency, and retire after 20 – 40 years. When a federal employee has been wrongfully terminated, demoted, denied benefits, denied security clearance, harassed, or discriminated against after working for so long, it can be devastating. Our firm will remain mindful of your career and life as we maneuver through the federal legal system and aggressively assert your rights as a federal employee and U.S. citizen. For a consultation with a federal employee attorney DC relies on, call The Federal Practice Group.